I am often torn when I go out for a drink between getting something that I know I love and venturing out and trying something new. The bar I was at (Spints Ale House) had both the Hirsch Small Batch Reserve and the much more spendy 22 year Hirsch Reserve Rye. I had recently indulged in a very nice bottle of Parkers, so I decided to give the entry level “small batch reserve” a try. It’s pretty amazing to me that the the 22 year sells at almost five times the price per bottle of the Hirsch Small Batch Reserve (which goes for around $35 a bottle). I’m not sure if that makes the small batch reserve a bargain or the 22 year a spendy treat (I’ll let you know after I try the 22 year). I drank my glass of Hirsch Small Batch Reserve neat. I probably should have added a small amount of distilled water into it as the initial sip was all fire and I think it really needed some water to open it up. Hirsch weighs in at 92 proof (46% ABV), slightly higher than most bourbons (typically ringing in at 80 proof). 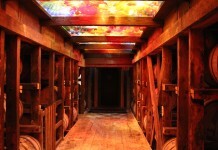 I enjoy a firey spirit but once the fire passes I expect there to be a level of complexity and balance to the flavors. With the Hirsch the fire gave way to a nice oily caramel and sweet vanilla. These flavors don’t stick around long as they dissipate to a fairly short and underwhelming finish. 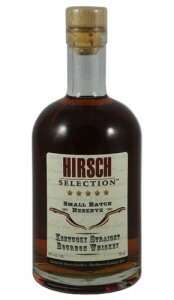 The Hirsch Small Batch Reserve does have some really nice qualities to it – I like its fire and is oily sweet texture. 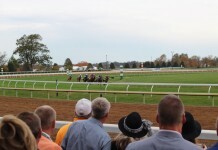 Some of the pieces are there of a great bourbon but not enough to really keep me coming back. 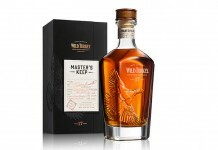 Recommended – a good value bourbon but not best in class, also points off for a short finish.